Central London is a wonderful place to be because of the attractions and restaurants dotted all over the city. Some of the best things in London can tend to be a bit on the expensive side, but there are plenty of places to eat that are on the more affordable side. In this article, find out about the best London cheap eats that will help your travel budget stretch further. Each place is unique in its own way. Find out where to go and why they can give you some great affordable food. Koya has a wide array of foods to eat, and their Japanese cuisine is always enjoyed by guests because of their tasty dishes. Koya's simple and short menu may not be as varied as other places, but do not let this dissuade you from visiting. Their small list of food makes up for it when they deliver your selection to you, because their food is always scrumptious. 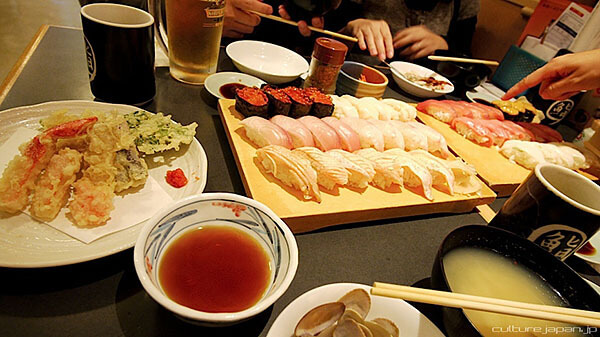 They have affordable prices and definitely is considered one of the cheapest Japanese places all through Central London. Visit them at 49 Frith Street, W1D 4SG, and don't forget to give them a call if you have any questions: 020 7434 4463. Located on St Martin's Lane, this is a unique place to eat and known for their affordable side dishes. With Indian food delivered like a fast food chain store, this place is relaxing yet fast paced. Their Indian street food and interesting sides are always exciting to taste because of their secret sauces. Spicy stew is very popular at this place, and their desserts are always tasty. Dishoom is nearby some other places to eat that can be a bit too hard on the wallet, so this can be a good place to eat if you are on a real budget. Feel free to call them at 020 7420 9320. 12 Upper St. Martin's Lane, WC2H 9FZ. Necco is a great place known for their simple and elegantly designed Chinese rice bowls that bring a flavorful zing to your meal. Their sweet rice with the right amount of sauce makes it taste just right combined with an affordable cost. Their fish and other cafe-like foods makes this a great choice despite the affordable prices. Necco is oftentimes quiet, but there are always people enjoying being in this area for their affordable foods. You can visit them at the following address: 52-54 Exmouth Market, EC1R 4QE. You can also call them at 020 7713 8575. Known mainly for ramen soup, they make quite a few large kettles per day. With dozens of guests coming in every hour, this is one great place to be because of their low food prices. Try the ramen with added bean sprouts and barbecued pork to bring even more flavor. Ramen is very popular in Central London, and this place does it the best. Visit their website at www.shoryuramen.com, or you can just go and visit their restaurant at this address: 9 Regent St Strand London SW1Y 4LR. Beat Root has the food that every vegetarian will enjoy eating. They have a healthy selection of cakes, pies, and meals which are all great for veggies who are looking to keep up their good eating habits while on the road. You can be sure that their food will be good for you and not hurt your health, nor your wallet. Their food is well-appreciated based on past customers' reviews. Since they have a very affordable fruit and vegetable market just outside on Berwick Street, their food is always fresh and tasty. Find Beat Root at 92 Berwick St, London, W1F 0QD and call on 020 7437 8591. Princi has low prices but still deliver large portions of food. They serve mainly Italian food. They have a broad range of different dishes for you to choose from and eat. They have pasta, meat dishes, and everything that you will ever want to eat when you visit an Italian restaurant. They have affordable prices, but their enticing menu makes it more than easy to find something good to eat. You can visit at 135 Wardour Street, Soho, London W1F 0UT, or you can call them as well on 020 7478 8888. These places are all wonderful, unique, different, and ultimately, more than affordable. They have quite a lot of fresh food for you to choose from. Be sure to look through their menu thoroughly; you might miss something good. Last updated by jack on 27 April, 2013 in Destinations. Princi is great! Delicious food, cheap and huge portions.